Daryl Baldwin is a citizen of the Miami Tribe of Oklahoma. He was born and raised around the Great Lakes area and currently resides in Liberty, Indiana with his wife and four children. Daryl’s forefathers were active in the affairs of the Miami Nation dating back to the 18th century, and he continues this dedication through his work in language and cultural revitalization. Daryl graduated in 1999 from The University of Montana with a Masters in Arts with emphasis in Native American linguistics. Since 1995, he has worked with the Myaamia people developing culture and language based educational materials and programs for the tribal community. Daryl is currently the Director of the Myaamia Center at Miami University in Oxford, Ohio. The Myaamia Center is a joint venture between the Miami Tribe of Oklahoma and Miami University, and part of its Miami Tribe Relations efforts. Baldwin's lifelong efforts, and arguably those of his family, tribal community, and university, were recognized in 2016 with a MacArthur Award for his life's work in language and cultural revitalization. Shea, H., Mosley-Howard, G. S., Baldwin, D., Ironstrack, G., Rousmaniere, K., & Schroer, J. E. 2019. Cultural Revitalization as a Restorative Process to Combat Racial and Cultural Trauma and Promote Living Well. Cultural Diversity and Ethnic Minority Psychology. Advance online publication. Baldwin, D., M. Noodin & B. Perley. 2018. Surviving the Sixth Extinction: American Indian Strategies for Life in the New World. In R. Grusin (editor) After Extinction. University of Minnesota Press. Minneapolis, London. Baldwin, D., L. Hinton & G. Pérez Báez. 2018. The Breath of Life Workshops and Institutes. In L. Hinton, L. Huss and G. Roche (eds.) The Routledge Handbook of Language Revitalization. New York: Taylor & Francis Group. Baldwin, Daryl, George Ironstrack. 2015. Mihšihkinaahkwa (Little Turtle). In: Indiana’s 200: The People Who Shaped The Hoosier State. Edited by: Linda C. Gugin and James E. St.Clair. Indiana Historical Society Press, Indianapolis. Baldwin, Daryl. 2014. oowaaha myaamiaataweenki: Miami Is Spoken Here. In: Handbook of Heritage, Community, and Native American Languages In The United States. Edited by: Terrence G. Wiley, Joy Kreeft Peyton, Donna Christian, Sarah Catherine K. Moore, Na Liu. Routledge – Taylor & Francis Group, New York and London. McCarty, Teresa L., Daryl Baldwin, George M. Ironstrack, Julie Olds. 2013. neetawaapantamaanki iilinwiaanki meehkamaanki niiyoonaani: Searching for Our Talk and Finding Ourselves In: Language Planning and Policy in Native America: History, Theory, Praxis. Teresa L. McCarty, Multilingual Matters, Bristol, Buffalo, Toronto. Baldwin, Daryl, Karen Baldwin, Jessie Baldwin, Jarrid Baldwin. 2013. Myaamiaataweenki oowaaha: Miami Spoken Here. In: Bringing our Languages Home: Language Revitalization for Families, Leanne Hinton (ed. ), Heyday Books, Berkeley, California. Baldwin, Daryl and Olds, Julie. 2007. 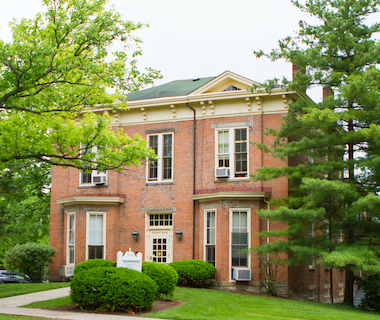 Miami Indian Language and Cultural Research at Miami University. In: Beyond Red Power: New Perspectives on American Indian Politics and Activism. Cobb, M, Daniel and Fowler, Loretta (ed. ), Sante Fe: School of American Research Press. Baldwin, Daryl and Costa, David. 2005. myaamia neehi peewaalia kaloosioni mahsinaakani: A Miami-Peoria Dictionary. Miami Tribe of Oklahoma. Warner, S. Mark and Baldwin, Daryl. 2004. Building Ties: The Collaboration between the Miami Nation and Archaeology. In: Places In Mind: Public Archaeology as Applied Anthropology, Shackel, A., Paul, Chambers, J., Erve, (ed. ), Routledge, New York and London. Baldwin, Daryl. 2002. Mihšihkinaahkwa: maamiikaahkia akima. Northwest Ohio Quarterly 74(1): 22-28.